OK, so the government didn't invent the Wii itself, but its money was instrumental in developing the device that makes it work. Known as an accelerometer, this doohickey measures changes in speed and it was developed by the military to help guide weapons. Now it's used to detect sudden changes in movement on the Wii's hand-held controller, simulating the movements of a golf club or tennis racquet. 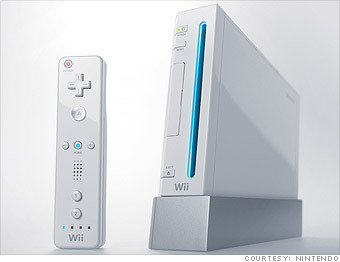 "Without it, the Wii wouldn't be possible," said Michael Cima, a professor at the Massachusetts Institute of Technology's department of Materials Science and Engineering. It's also the device that detects when a car has come to an abrupt stop, signaling the deployment of an airbag. Google has revealed the Samsung Galaxy Nexus, the latest "Google phone" that serves as the bench-setter for Android devices.